Light, strong and high-end materials; that is one way to describe the Zero Tolerance 0770CF. Weighing in at 3.1 oz, this ZT folding knife will make a solid everyday carry. The blade of the American made pocket knife has stainless S35V steel blade with a stonewash finish - it holds an outstanding edge. The curving blade provides a lot of cutting surface with a blade geometry that will make cutting easy. 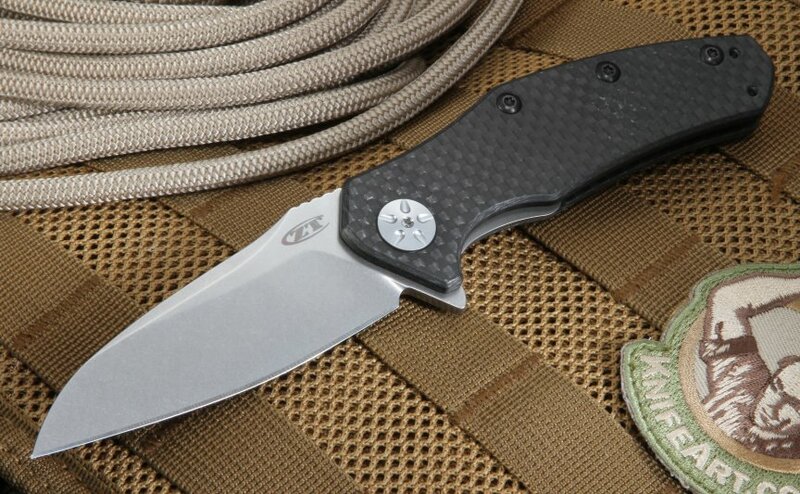 The ZT 0770CF blade opens quickly and easily thanks to speed safe assisted opening. 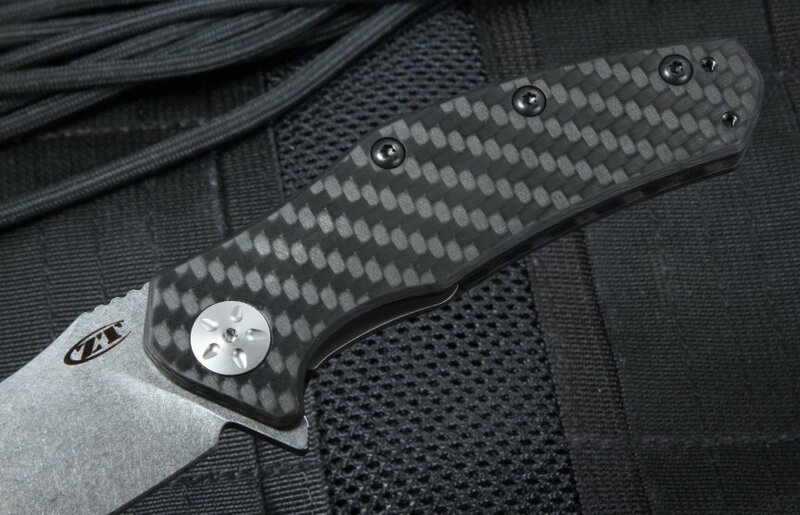 The handle on the 0770CF has an extremely light yet strong handle of carbon fiber that has a matte finish and flat. 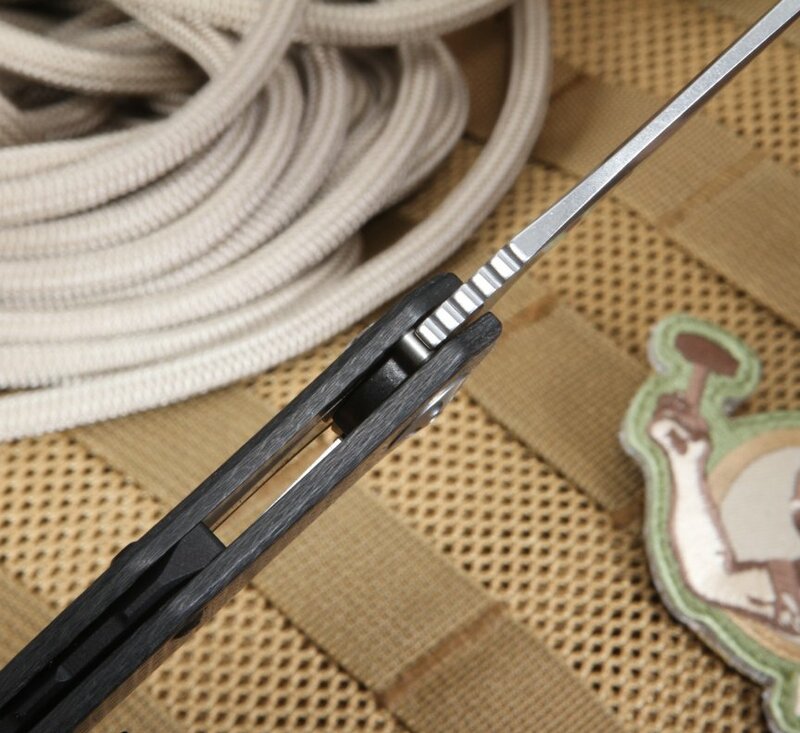 The weave carbon fiber has an inlaid liner lock that provides a robust locking mechanism. The carbon fiber provides a strong durable handle and at the same time makes the knife lighter for daily carry (3.1 oz). The knife has a machined aluminum spacer with a black coating. The handle also has a 3/4 length spacer for increased strength. Filed thumb rest on the blade spine for a secure grip. Flipper also serves as an integral index finger guard for secure handling. 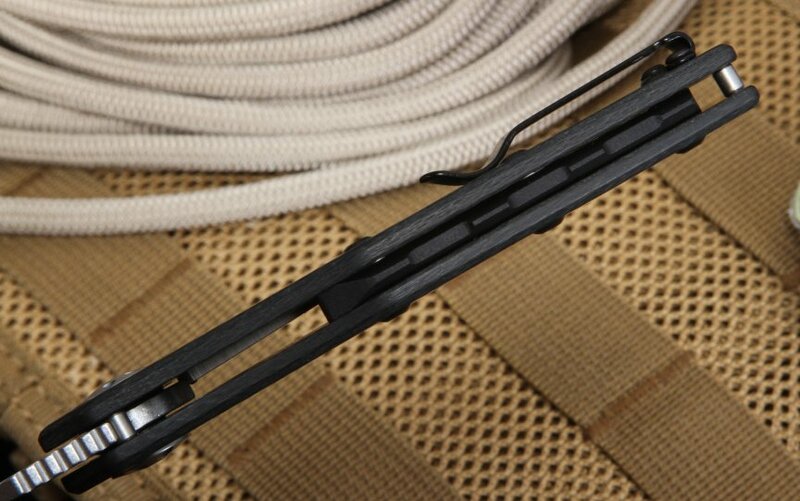 The clip can be mounted for right or left pocket carry. Rock solid tactical 0770CF folding knife from Zero Tolerance Knives. Buy with confidence, KnifeArt.com is an authorized dealer for Zero Tolerance and will provide fast free shipping in the USA and a full satisfaction guarantee. I lived the look of this ZT as soon as I saw a photo. I had been lusting after the CF Sebenza, but not the price. At less than half, was this knife with Elmax, Speedsafe, and two CF slabs. After carrying and using it for a couple of weeks, it's better...much better...than I expected. It's now my EDC of choice.